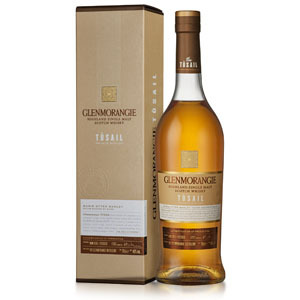 Tùsail, like previous annual Private Editions from Glenmorangie (Companta Finealta, Artein, and Ealanta) explores some aspect of whiskymaking by highlighting a particular ingredient or process. Tùsail was made from a batch of floor-malted (by hand) Marris Otter winter barley, distilled and aged for an unspecified length of time in ex-bourbon casks. It was bottled at 46% ABV without chill-filtration and retailed for $99 (it’s probably all sold out by now). Marris Otter, a nearly-forgotten strain of hardy winter barley prized by brewers in England, was saved from the oblivion of failing to compete with high-yield agricultural strains by a pair of British seed merchants. Dr. Bill Lumsden, Glenmorangie’s director of distilling, acquired a batch and set about seeing what kind of whisky it would make. 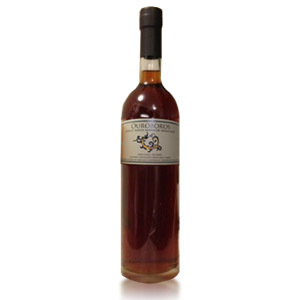 There are no records of Marris Otter being used by whisky distilleries in the past, although it’s certainly possible that Lumsden wasn’t the first. Nose: Clove-studded baked apples. Graham cracker and dried ginger. Oatmeal cookie dough. Palate: Pumpkin pie. Cinnamon and sugar. Root beer. The flavors are all very autumnal, and remind me of falling leaves and comforting homemade Fall baked goods. Beyond that, there is something industrial tasting, like the oil/glue notes found in Springbank and Redbreast. Finish: Medium-short. Slightly nutty, with hazelnuts and echoes of the cinnamon and clove spice notes. Fades with dusty hay and dried coconut. With Water: A few drops of water bring out more fruit notes – apple cider, poached pears, and wildflower honey, and add more spice and brighter alcohol on the palate. I recommend a very little water with this one. Overall: A very well-made, but ultimately uninteresting dram. The Autumn flavors and aromas are nice, but seem like just variations on the standard “barley” grain flavors that trigger some kind of taste or smell memory from my youth. The attempt to showcase the Marris Otter barley by stripping away other flavors (using only ex-bourbon casks, and particularly light ones at that) has produced an introspective examination of the barley strain’s personality that, like an educational show on TV, doesn’t elicit much excitement. It’s a nice whisky, and very pleasant to drink, but plenty of cheaper malts can claim the same. I can’t recommend this for the full retail $99, but if you’re curious about a rare (maybe unique) barley’s effect on the whiskymaking process, or prefer subtle, grain-driven drams without much cask influence, then this one is right up your alley. Agreed! These days, though, bourbon is where the value is, and I’ve been pretty disgruntled with the (sometimes crazy) increases in prices in scotch. This hasn’t been much of a problem with bourbon, at least not with the sub-$50 American whiskies. I agree, come back home! I have zero interest in bourbon, want more scotch reviews please!! Got three bottles of this for about $65 each. I thought it was quite good for the price, like a ramped up Original. I’m down to one bottle, so I must be enjoying it. At $90-100 a bottle though, I might pass also. where did you get it at $65? 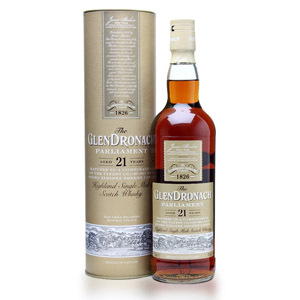 Been eyeing this one for quite some time now, but at a 50% higher cost than the Glenlivet 18 where I’m from, I’d have a hard time justifying the purchase.